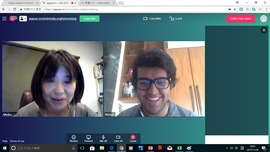 Makkam International is a unique and innovative language institution focused on learning practical Japanese in a fully immersed casual environment, all for a reasonable price! Whether you want to make life in Japan more comfortable, improve your business language ability, or to check your level at school, this is the place for you! Our instructors have experience in teaching a wide variety of lessons; from helping university students, expatriate family members of any age, as well as businessmen. We are open on Saturdays and Sundays, so this is a great way to brush up your Japanese for those who are busy during the week. 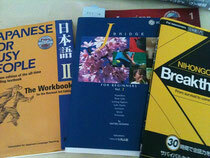 We provide Online Japanese lesson for foreigners even in abroad. Feel free to ask us about it.